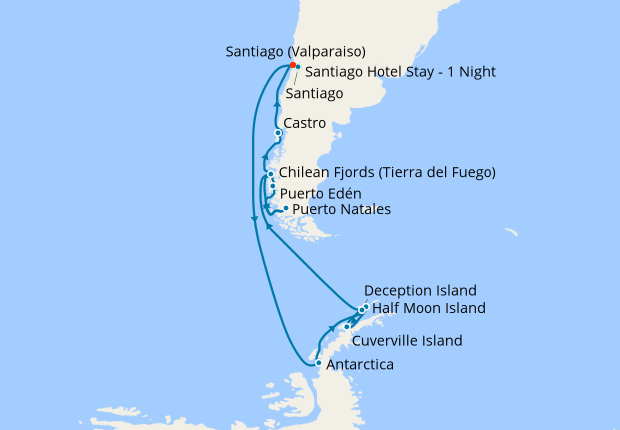 Experience Antarctica and Patagonia in one expedition! The Chillian port of Valparaiso has a rich history as one of the most important trading posts on the Pacific Coast. As such it buzzes today with an established and historic ambience.